Tallinn is by all definitions, the most fairy-tale-looking capital city of Estonia. This city of tall chimneys and picturesque cathedrals is home to 408,000 residents. Tallinn is the perfect escape from reality and a great chance to uncover the old and discover the modern. Well-loved tourist attractions include Toompea Hill, Tallinn Tower and Niguliste Museum. Cheap flights to Tallinn are now available for a limited period of time, so get ready to be whisked away by a knight in shining armour! Tallinn is home of Tallinn Airport (TLL), located on a quick 10-minute drive from the city centre. The Tallinn Old Town may be a museum, but walking its narrow alleyways will make you believe in fairy tales again. 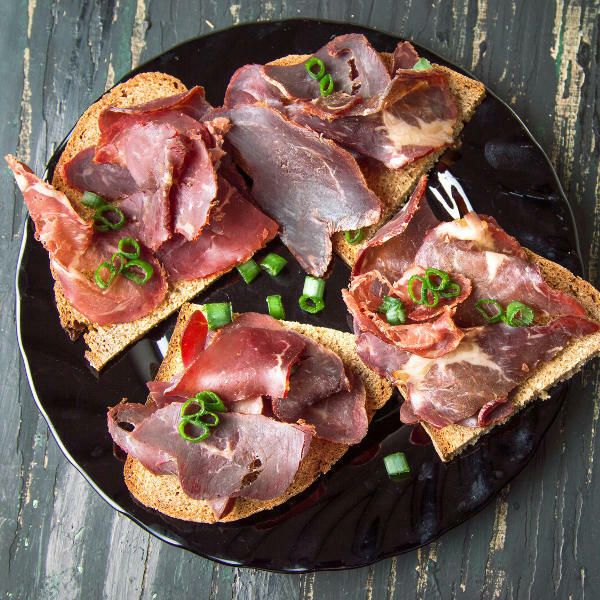 This Estonian city tastes of rich rye breads, hearty potatoes and hand-carved cuts of pork and beef. Visit Ill Draakon for authentic rustic cuisine. Just outside the city centre is a perfect sea side town that flows with the Baltic Sea. 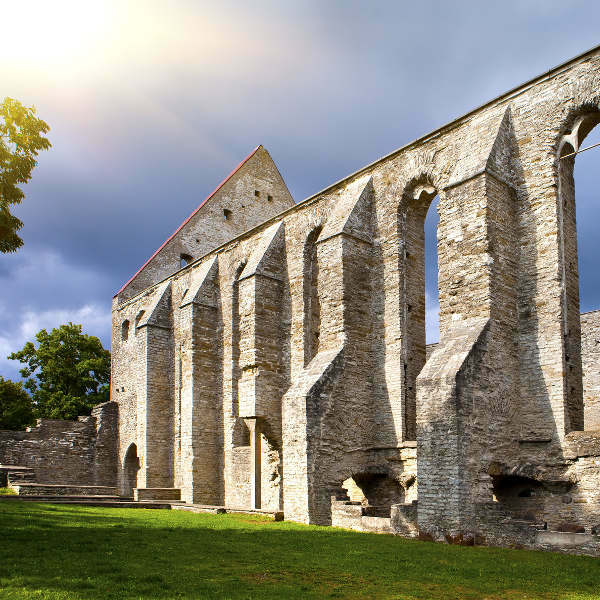 Make sure to visit the ancient ruins of the old Pirita Convent. Tallinn is magical all year round, and you will appreciate both its summer sunshine and snowy rooftops in winter. Christmas time in Tallinn is really special, and you’ll have a great time witnessing a 600-year old tradition of the Christmas tree being mounted in the city square. There is also the month-long Christmas market. Summer falls between June and July, and with temperatures in the low 20s, it is a great time to go sightseeing in the city. The only problem is that it gets really busy and overcrowded with tourists; and with peak season prices on flights and accommodation it might not be the best time to visit. Whoever said that fairy tales are not true has never been to the beautiful city of Tallinn. 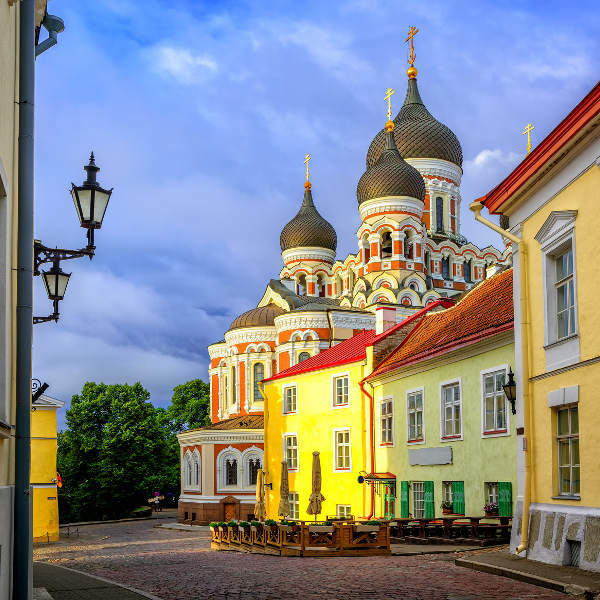 This capital of Estonia has everything that makes a wonderful stay there – medieval old-city beauty, great food, peaceful Baltic Sea beaches and welcoming residents. Also, the nice thing about Tallinn is that almost everything is in walking distance, so you can really take your time to explore this lovely city. Everyone that visits the Tallinn Old Town walks away in love and vows to return one day. With its castle-like feel, you will wander the cobblestoned pavements and narrow alleyways in pure amazement. Though it is a museum with no residents living in the town, it is very well preserved and if you imagine hard enough, you will find yourself in Medieval Europe with horses, a carriage and some magic in the air! Compare several airlines, and book your cheap flights to Tallinn online with Travelstart! The people and society at large in Tallinn are very friendly, safe and welcoming of visitors. There have been almost no reports of crime towards tourists in the city so there is no need to worry about safety. It is, however, always important to be cautious and aware of your surroundings. It is always important to have your vaccines up to date when you are travelling. When visiting Tallinn, it is strongly recommended to get a vaccination for hepatitis A as there is a slight chance that the food and water may be contaminated, regardless of where you will be eating. It is also a good idea to get a shot for hepatitis B, and then rabies too if you plan to spend some time doing adventurous activities or interacting with animals.